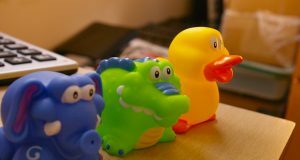 Kids In Danger, Consumers Union, and Consumer Federation of America support ASTM F963-16 becoming the mandatory toy standard in the United States. Important updates in the new standard will strengthen child safety by improving toy safety. We also recommend future attention to emerging hazards involving connected toys or new technology.